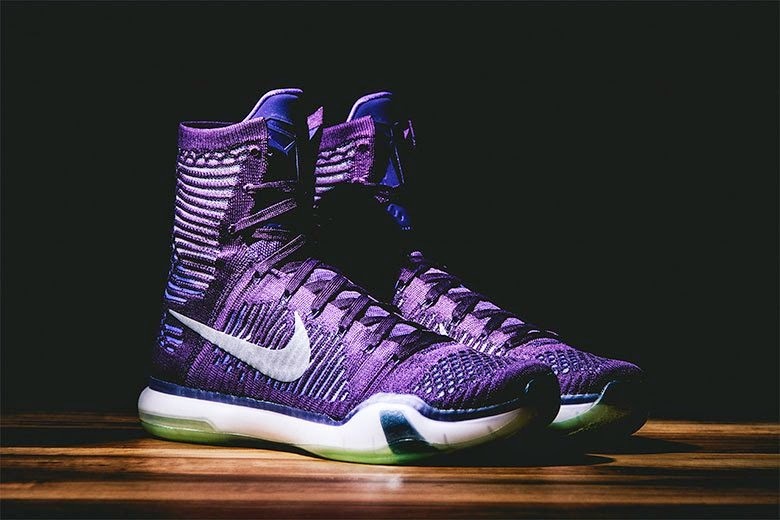 Have a first look at the upcoming Nike Kobe X Elite “Grand Purple” basketball sneaker. The high-top shoe sports a tonal “Laker-esque” purple look, constructed from recycled polyester yarn, stitched in a manner that resembles snakeskin scales in accordance with Kobe’s “Black Mamba” alter ego. Nike’s Flyknit upper sits atop a white midsole and a green tinted, translucent bottom sole. Stay tuned for further news regarding the model’s release date and price tag in the coming days. Air Jordan 7 Retro "Barcelona Days"